When a musician who has had any impact on your life dies, no matter how great or small, I feel it’s always appropriate to pay tribute to them. Newspapers and reports can rehash their bios. I prefer just reflecting on where their music fit into my life, and remembering them by the greatest mark they left behind: their songs. 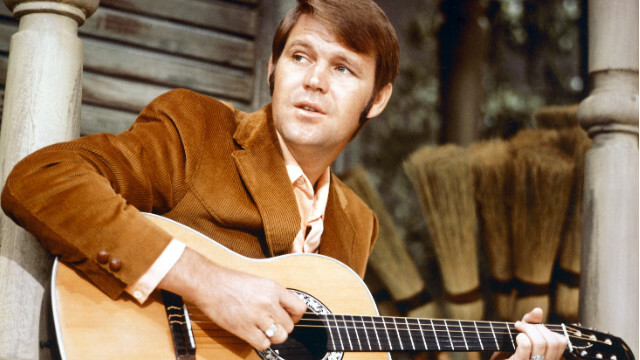 I didn’t know who Glen Campbell was until his 2008 covers album, Meet Glen Campbell, a stab at introducing the country singer to a new generation with covers of songs from rock, punk and alternative artists, including one of my favorites, Paul Westerberg (“Sadly Beautiful”). While Campbell’s covers of the Foo Fighters‘ “Times Like These” and Green Day‘s “Time of Your Life” were well-crafted and great fits for the singer, the true stand-out for me was his take on Jackson Browne‘s “These Days”, a beautiful song I admit I was not familiar with until I heard Campbell’s version. Campbell personalizes the song, including lyrics reflecting his own hardships (“I’ve stopped my rambling. I don’t do too much gambling these days”), and his journey back from them (“And if I seem to be afraid, to live the life that I have made and sown, it’s just that I’ve been healing so long”). The song struck a chord with me as I was going through a rough patch, and still moves me to this day. Campbell released another few albums of covers, as he began his battle with Alzheimers, and had an original song nominated for an Academy Award. He died earlier this week due to complications from his disease, but left a lot of music to be enjoyed, for country and non-country fans alike.